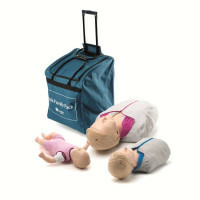 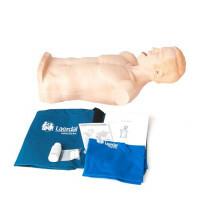 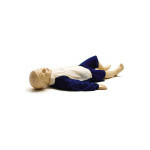 The Little Family Pack is a convenient package of age-specific CPR training manikins with a wheeled carry case for ease of transport and storage. 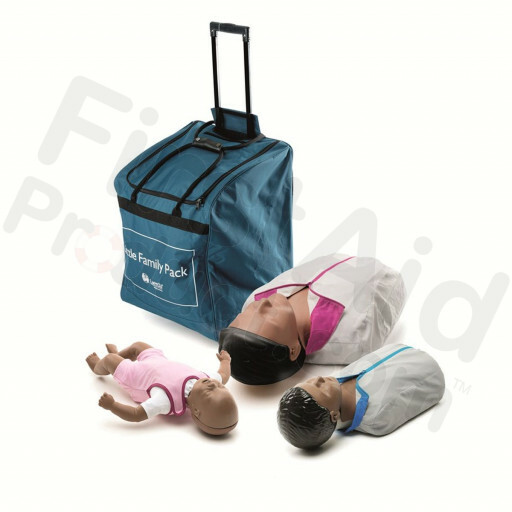 Now, Little Anne and Little Junior come with QCPR feedback technology to help instructors improve CPR training quality, efficiency, and learner engagement, while the updated Baby Anne features modernized clothing and improved airway management. At this time, Baby Anne is not QCPR enabled. 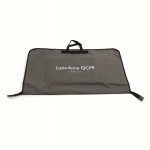 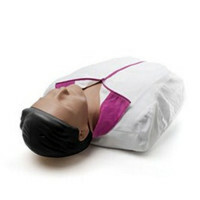 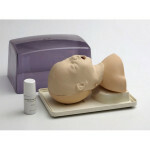 Little Anne QCPR manikin, 1 Training Mat, 2 Manikin Faces, 2 Little Anne Airways, 6 Manikin Wipes and User Guide. 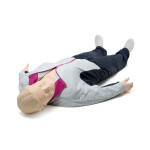 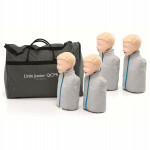 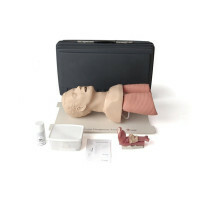 Little Junior QCPR manikin, 1 Training Mat, 2 Manikin Faces, 2 Airways, 6 Manikin Wipes and User Guide. 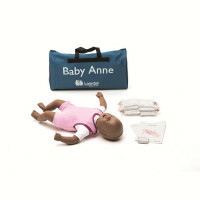 Little Family Pack, Dark Skin.